I remember reading an article on Graham Hancock's website a while back about the Sphinx at Giza once being an Anubis...but later reshaped to look like it does today. I was not aware that Graham Hancock had made the suggestion about the Sphinx being Anubis. I know of other peoples theory about the Sphinx being created as a Cat first then changed into what we see today. My personal opinion on this would be that I cannot agree with Mr. Hancock, because of the archeological facts. 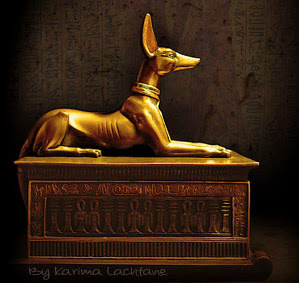 If you look closely upon the picture in this post, then you will notice that the Jackal (Anubis) has its tail straight down (like it is just hanging there - I hope you know what I mean), this was the common way of portraying 'Anubis upon his shrine'. If you look at Tut-ankh-amun's tomb objects, more precise the Anubis Shrine, then you will see that it has the same tail (hanging straight down), but you will also find the same exact illustration in the papyrus scrolls. 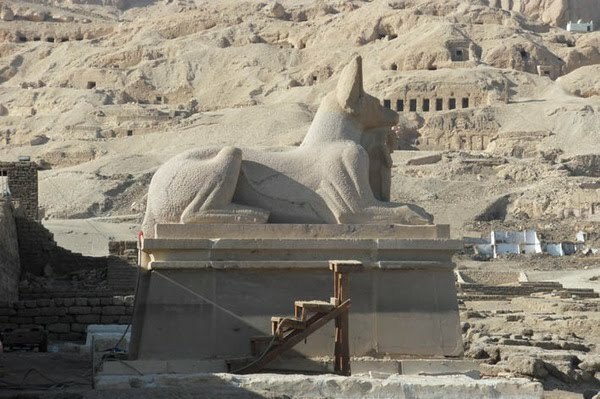 If you look closely at the Sphinx, you should notice that the tail curls around the back end of the body, the ancient Egyptians normally put the curly tail on the lion or the cat like creature. 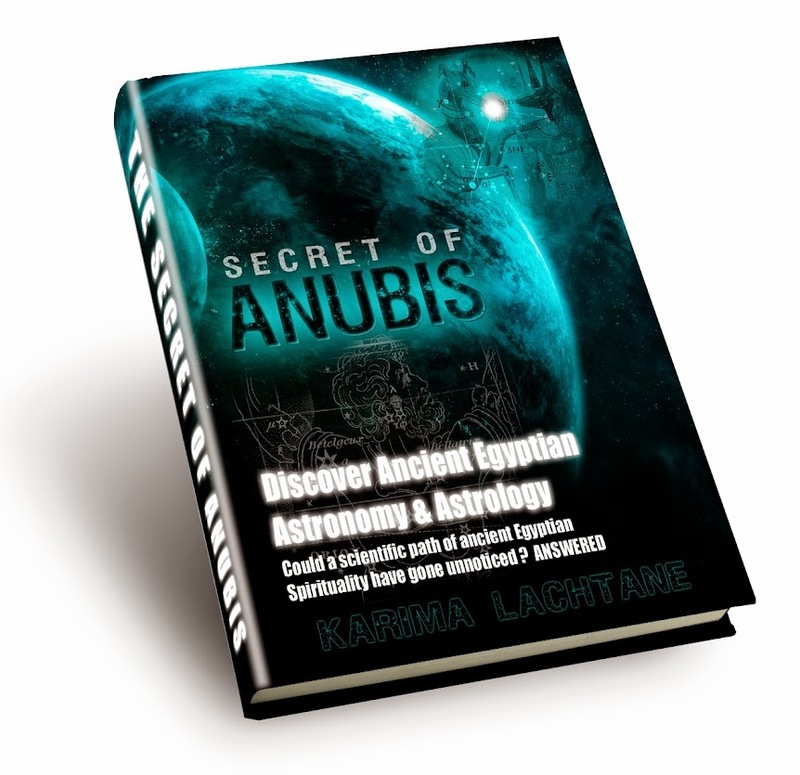 This is a short article I wrote some time ago, about Anubis, which I think fits pretty well here, it should bring some more light upon the Anubis Shrine. This statue looks amazing, how big is it? It is difficult to guage the size from the photo. Yes I am deeply sorry that I couldn't go any closer or have some measure point, so one could easily see how big it is. It is not enormous by any means, but taller than a man, as fare as I could figure out, from where I was standing. But you can see a small ladder in front of the shrine, I believe when a grown man stand on top of it, he can probably reach the ears, but I am guessing here. I know who Robert Temple is, and I have tried to read one of his books which I own. Off course he offers great new theories which are worth looking more into, I like his ideas on the Dongo people, but I thought he was lacking in Egyptian history, so I quickly ran into some basic problems. I also like the work of Graham Hancock, but I do not agree with him, its the same with Robert Temple, but he brings light upon a culture which I knew nothing about. in which Temple this statue ?